Salle Orchards – "Good taste runs in the family!" "Good taste runs in the family!" On the weekdays you can visit us by our farm and pick up some amazing produce between 10:00 am and 4:00 pm. Press here to see the full farmer's market schedule. We visit over 10 markets every week from Tuesday to Saturday. 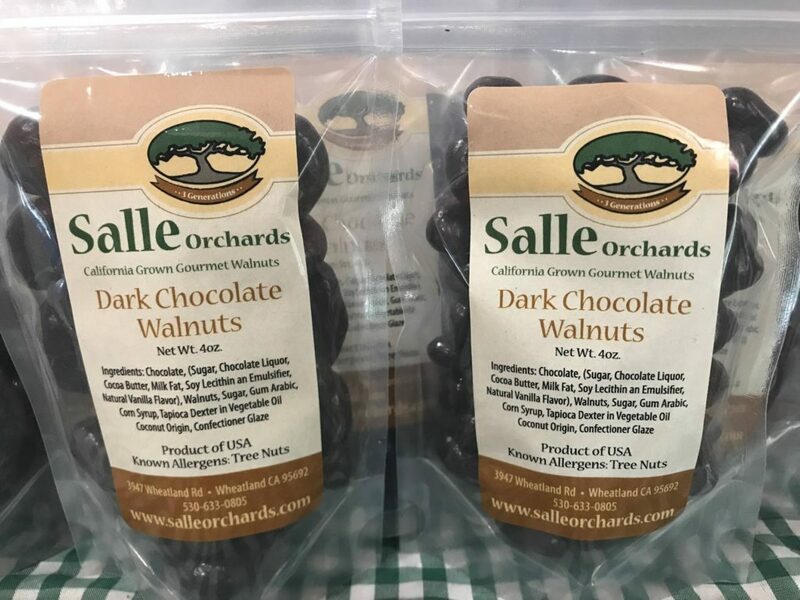 Salle Orchards offers Chandler walnuts, a premium English walnut. While very light in color, it has a sub-acid content resulting in a lighter, sweeter taste with little to NO bitterness. For those of you who have a sensitivity or seem to experience a “tingling” sensation or “sores” in your mouth from eating walnuts, this is the walnut for you! Most reactions are a result from the high acidity level found in traditional walnuts. With the sub-acid nature of Chandler walnuts, you can enjoy the sweetness and flavor of walnuts without the sensitivity. The Chandler walnut has an exceptionally thin shell, making it easier to crack, and yields a higher meat-to-shell ratio. Additionally, you will see more walnut “halves”, due to its “paper-like” shell and cracking ability. Walnuts are great in almost anything…salads, yogurts, oatmeal, on ice cream, and the health benefits are AMAZING! But if you don’t have the time or desire to crack them yourself, Salle Orchards has you covered. We offer shelled Chandler walnuts in various sizes. They are ALWAYS fresh; we only sell walnuts from the current season. So treat yourself to a healthy, tasty snack made simple. Natural Glazed: Our other lightly coated, slightly sweet walnut. It too is great for salads, but has a sweeter taste similar to kettle corn. Honey Roast: This is great for those who crave a sweet and salty snack. It is similar to a beer nut or a cashew and it seems to be a gentleman’s favorite. Limited Supply – Dark Chocolate: Let’s be honest, this is more about the dark chocolate than the walnut, but nevertheless, it is AMAZING! You don’t want to miss out on this one. Due to its delicate nature, this product can only be carried during the holidays (November – February). Sesame Glazed: Our most popular; the Sesame Glazed is a lightly coated, slightly sweet and crunchy. It is perfect for salads, won’t get tacky in the salad dressing. The sesame enhances the flavor without it being overwhelming. Orange Honey: This is a well coated, very sweet walnut. It has a mild orange flavor and if excellent in oatmeal and yogurt. For a special treat, serve over a fine vanilla ice cream or over a nice New Year Cheesecake. Cinnamon Honey: A sweet, well coated walnut with a strong cinnamon flavor. Perfect for hot oatmeal, muffins, and ice cream. For a decadent treat, sprinkle on brownies before baking. 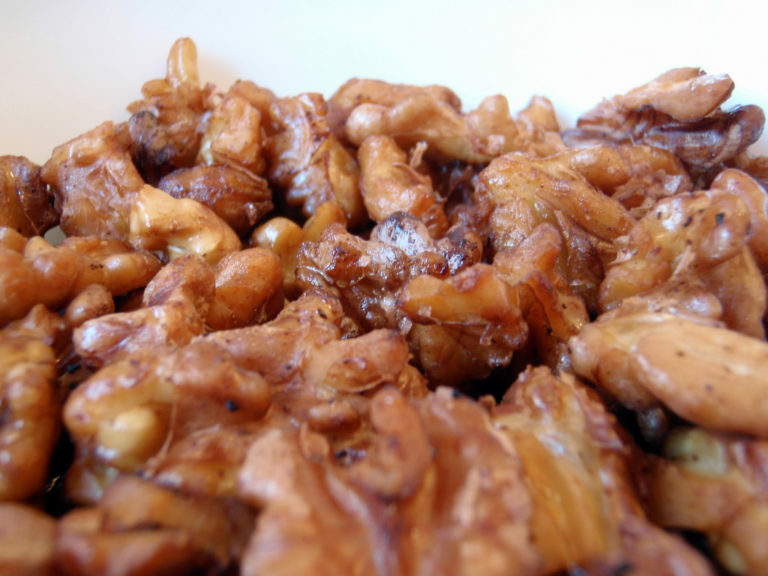 Lemon Honey: This special walnut is a kid’s favorite and a parent’s dream come true. It has a flavor similar to Fruity Pebbles Cereal, but with the health benefits of walnuts and can be used in place of the Orange Honey or Cinnamon Honey walnuts. 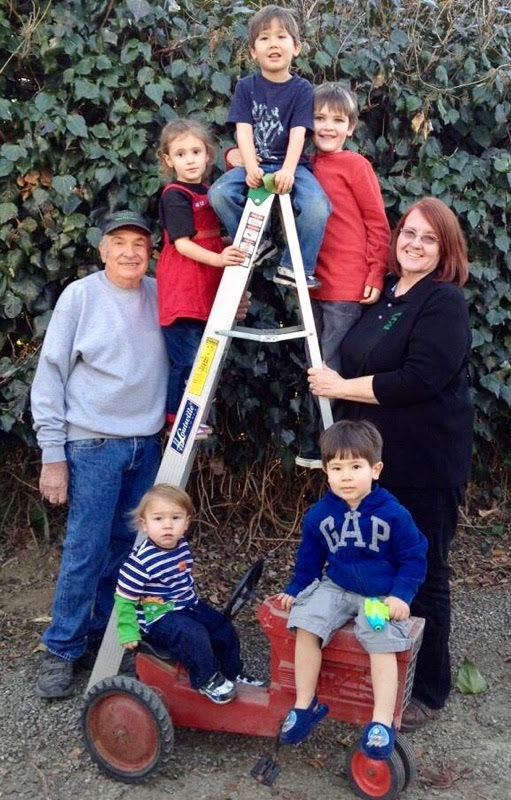 Founded in 1990, Salle Orchards is a family-owned and operated farm located on 70 acres in Sutter and Yuba Counties. Nearly three decades ago, farmers Nicholas and Billie Jean Salle bought a deteriorating 60-year old walnut orchard, knowing it required a costly investment of effort and resources to bring it up to peak production. But they also knew that the fertile soil under the trees –a nutrient-rich river bottom– had the potential to grow abundant, high-quality fruits and vegetables. With approximately 3,500 trees, Salle Orchards is one of the smallest farms in the Wheatland, California area. The acreage is planted with four varieties of English walnuts, including gourmet Chandlers, and a large assortment of tree fruit. The orchard contains an expansive variety of fruit, including about 27 varieties of apples, 8 apricots, 9 Asian pears, 7 cherries, 3 persimmons, 3 pomegranates, 5 figs, 25 plums, 3 pluots, 20 citrus, and about 80 peaches and nectarines. By carefully interplanting row crops, the Salles also raise specialty fruits and vegetables, including blackberries, kiwis, tomatoes, squash, cover crops, root crops and leafy greens. 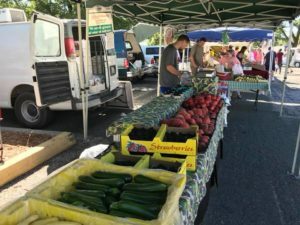 They sell their produce at farmers' markets in Placer, Sacramento and Nevada Counties. 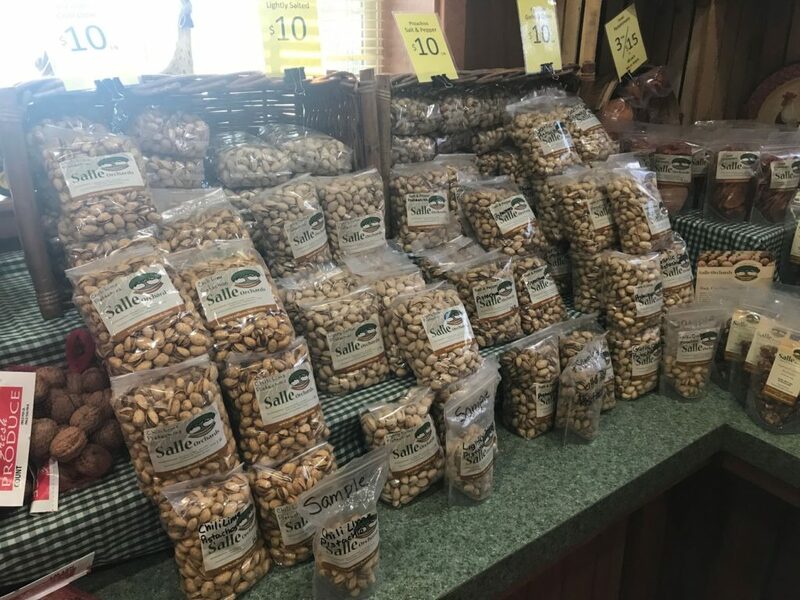 In addition, they have just debuted two new products - flavored nuts and sun dried fruits - now available at gourmet, specialty and farmers' markets. The neglected, rundown orchard is now thriving, thanks to the strenuous, yet rewarding, work of Nick, Billie Jean and their children. 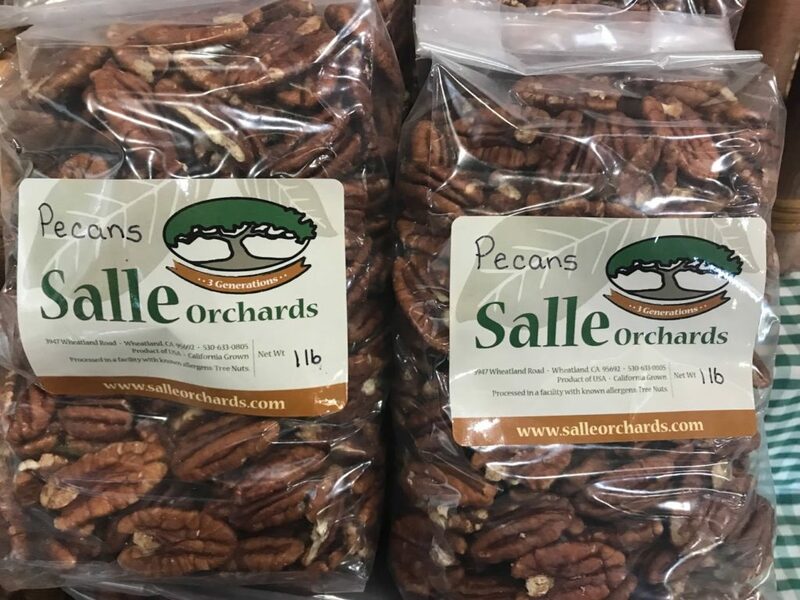 The Salles are proud of their farm and the quality products they grow, and they invite you to try their fresh produce, walnuts and other products. 8:00 a.m. – 12 :00 p.m.
Meet us on Social Media! This website was funded in part by a grant from Western SARE, a program of the U.S. Department of Agriculture that promotes profitable farms, a sound environment, and vibrant communities through different grants.